TGIF! I’ve gotta say, I’ve had a bit of trouble getting back into my routine this week after Telluride. I haven’t slept very well the past couple nights because of this crick I got in my neck on Tuesday night, and I’m struggling to focus! I’ll be in Dallas the entire month of February, so let’s hope I can get back on track next week to get this month going great! Pink has never been my favorite color, but it’s grown on me the last several years. As far as spring and summer color trends go, pink is it! While in New York in December, I spotted these pink Celine sunnies at Barney’s. I thought the soft pink color was subtle and a nice compliment to my fair skin and hair! About a week later, I found this bag on major sale at Forty Five Ten in Dallas. It wasn’t until I brought the bag home did I realize they matched! It truly was a match made in heaven. I’m excited to wear the sunglasses + bag together and apart this coming season! 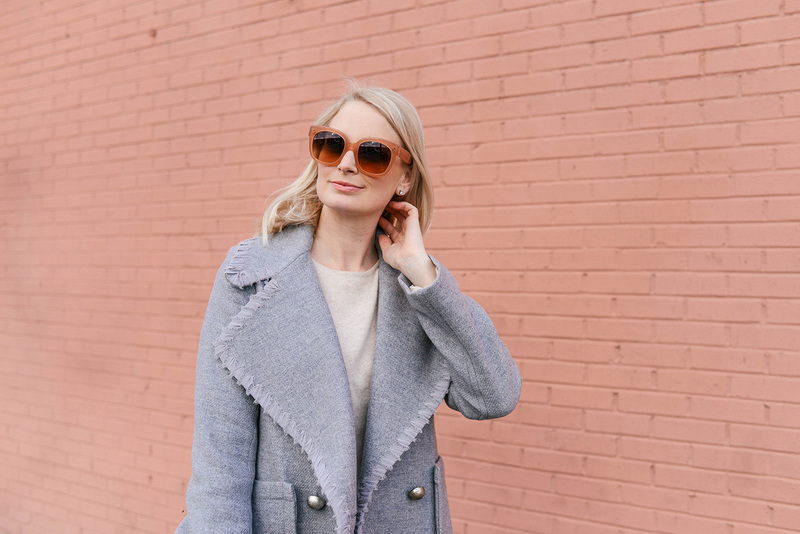 PS – these sunnies also come in pale blue. Loving the color scheme on these Krewe sunglasses! If you’re looking for a unique shape, check out this pair from Prada. My mom has this pair from Fendi and I want to steal them!! Add some sparkle with this eye-catching Gucci pair. Want the statement look of the season? Snag these. For a more subdued look, I’m loving this Miu Miu pair. 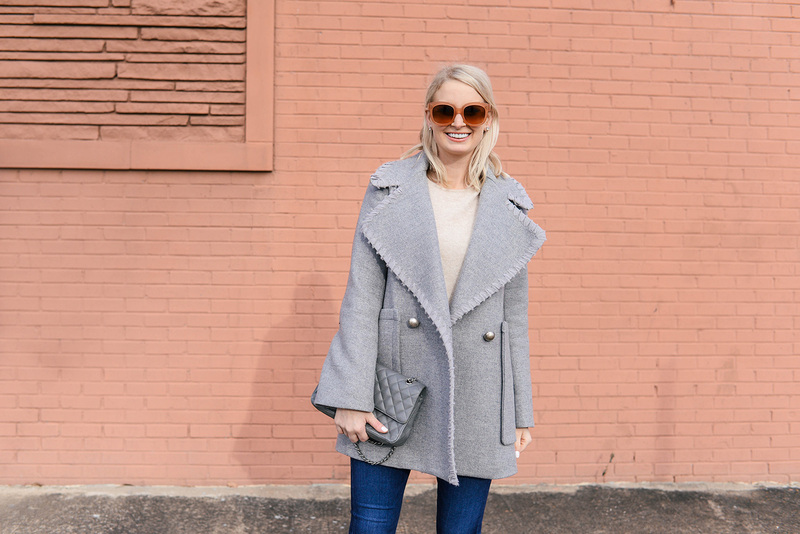 This coat is the prettiest and love your new sunnies. Ah I had a terrible crick in my neck too! It is/has been painful. Needless to say this week has been bleh. 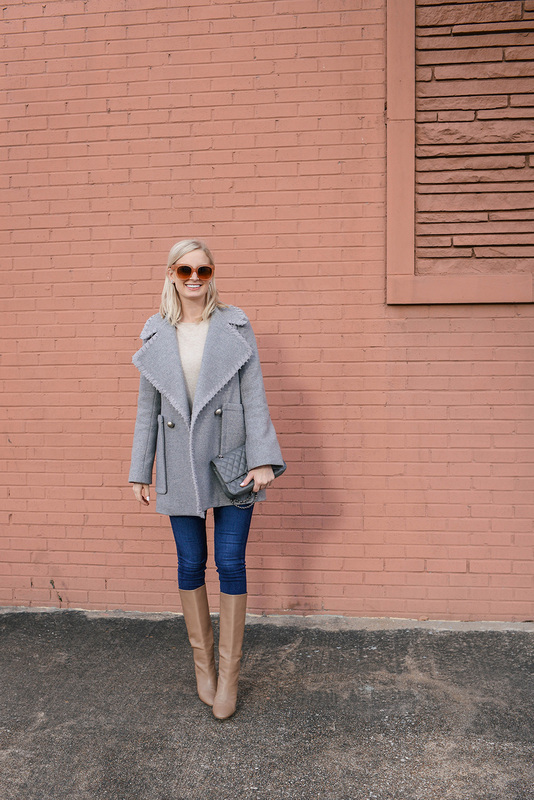 Love these sunnies and this coat on you! How fun are those sunnies! I hope your neck gets better soon! Those are such cute snglasses. I always try on fun sunglasses but can never seem to part with my trust ol’ ray bans! Such fun sunglasses! I am loving this whole outfit. 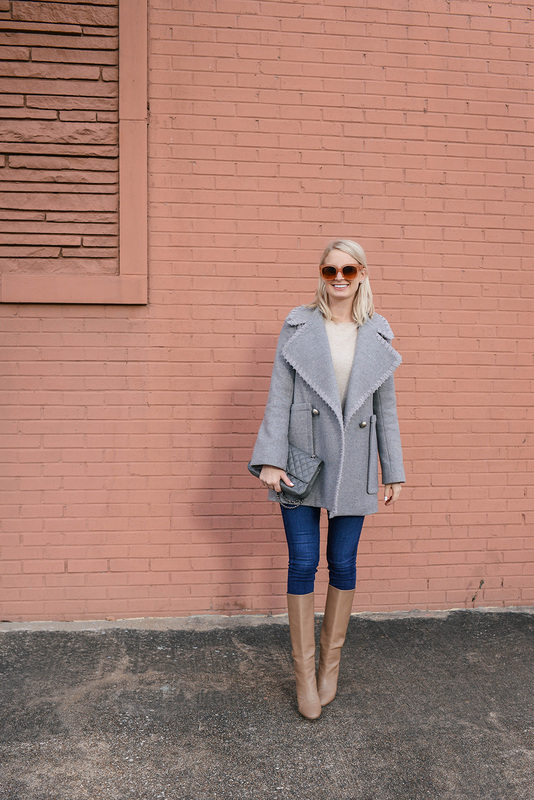 You really can’t go wrong with grey coat, and yours is sooo adorable dear. Goes pretty cute with your sunnies too!